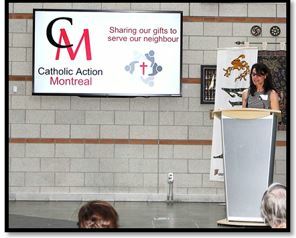 Catholic Action Montreal intends to use a grass-roots participative approach, inviting all those involved in service within our English Speaking Catholic community to collaboratively explore the infinite possibilities of how we might join together toward responding to the varying needs of our community. It is an exciting opportunity to learn about and from each other, support each other, and grow together in our common purpose – working for the greater good for all people. We believe in the power of people helping people. We believe that together we are all stronger. We believe that together, with a spirit of humility and compassion, we have the power to make an even greater service impact in our community. We believe that God has great things in store for each and every one us. We believe that we are His hands and feet in the world. Optimizing and consolidating the skills in our Catholic community for the greater good creating access to opportunity, and the services needed now and for future generations to continue their good work. 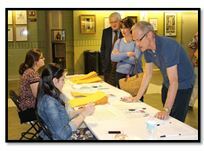 Since first establishing their roots in Montreal during the 18th century, the members of Montreal’s English-speaking Catholic community have dedicated themselves to offering care and compassion to those in need. This commitment gave birth to a host of educational, health and social service institutions. Through their devotion to service and their outreach to the broader community, they have made an invaluable contribution to the lives and well-being of individuals from all religious, cultural and social backgrounds. To continue this work today, Catholic Action Montreal has been created to bring together organizations with a common cause and shared commitment to better provide a wide-range of services to the most people possible. 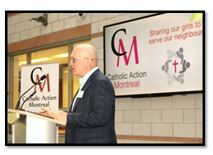 Catholic Action Montreal will be a beacon for lay services in the community. 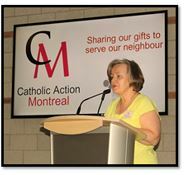 Catholic Action Montreal (CAM) members are guided by faith to serve, care for, and bring hope to others with humility, compassion and respect. People of Faith We are people of faith called to action. 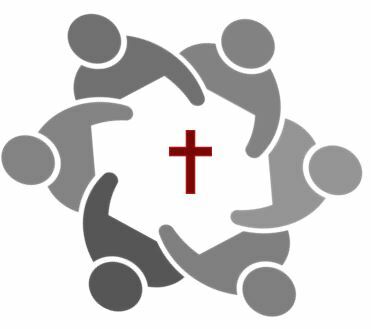 We are united in our common mission to respond to the needs of others by providing supportive service, assistance, and meaningful, life-giving programming to people of all ages and in every walk of life. Hey! 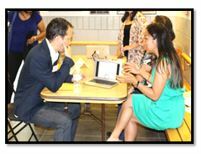 check out our AGM recap and pictures. There is also a link to our chair report. 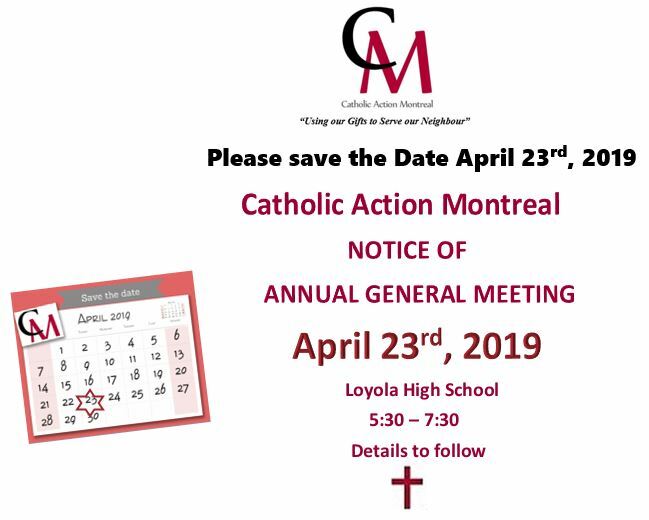 AGM: Was held at Loyola High School on May 29th, 2018. 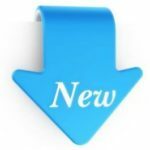 Members were invited to register their expertise with our software. We heard from our Chair, Anna Graham detailing our activities since our last AGM. We heard from the Director of “Le Pont”, Arthur Durieux and the archdiocese project assisting the Asylum Seekers. 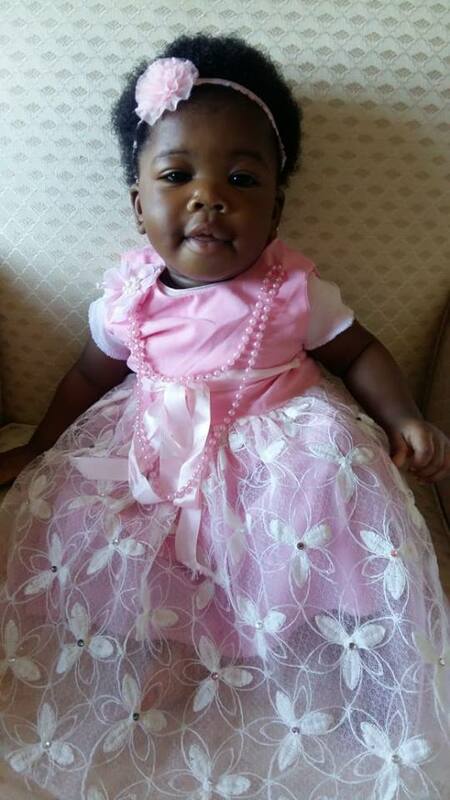 We heard about the journey of an asylum seeker and the impact of our service on her and her daughter’s lives. 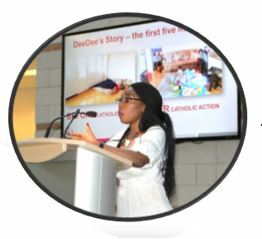 Cathie Macaulay shared the story of a successful outreach to an isolated senior, and Anna told of our huge collaborative project with St. Luke youth ministry, Me to We, West Island Ford, Le Pont and Catholic Action. Our treasurer, Patrick Gillespie, shared our financial position and answered questions from the membership. He explained our need for funds to cover our operating expenses and that we will be working on a fundraising campaign in the coming months. We invite you to become a member. Our community is fortunate to have so many parishes and organizations working toward the enrichment of its English-speaking community, and the community at large. You will have the opportunity to participate in the development of our community. You will help to shape the future of CA. 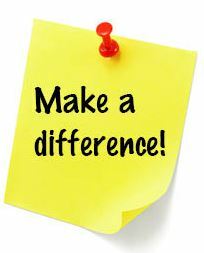 You will help enhance a collaborative effort that will foster sharing and cooperation, and mutual support. You will be a part of this exciting endeavor to strengthen and expand our collective ability to offer service, support, and meaningful programs to people in every stage and walk of life. Membership is $20.00 Using PayPal is safe and scure and allows you to use your credit card to earn your reward points. 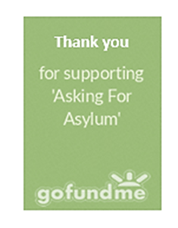 Please consider “giving” to this project through our GoFundMe page: https://www.gofundme.com/askingforasylum or by cheque to Catholic Action with Asylum Seekers in the subject line. Please help so we can promote dignity to these new neighbours. 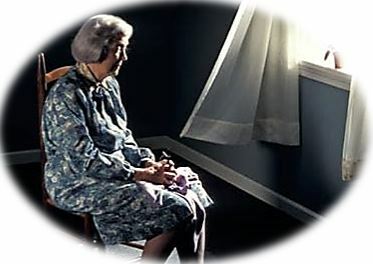 Have you been thinking or worrying about that elderly person you see from time to time? Do you know of a senior that you may consider lonely or isolated? We are working with a group of English Speaking senior centers on outreach to these people. They have professionals to do the outreach, one of the biggest challenges is finding them before it’s too late. Help us improve their quality of life, email me at jwong@catholicaction.ca and we will make sure the best geographic center match is contacted to try and assist these lonely seniors. Have a blessed day! On The Road Again! 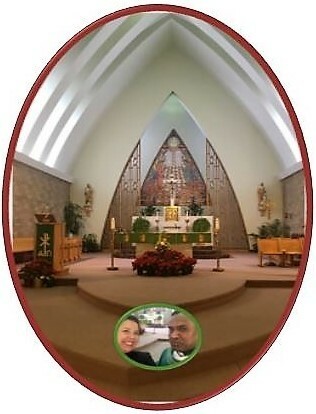 With the new year upon us Catholic Action is out visiting new parishes and sharing our story and good works. This is St. John’s Fisher Church in Pointe Claire. The gospel this day: Jesus said, “Follow Me”. 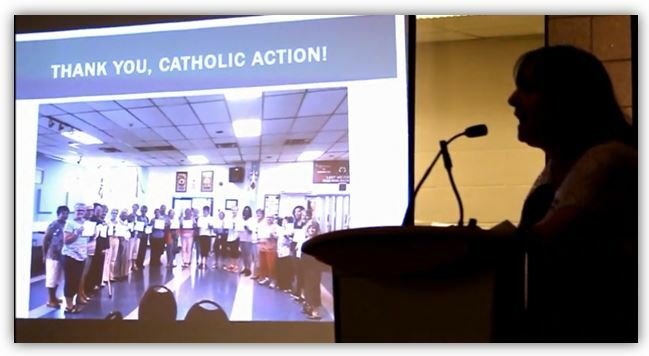 What a great introduction to the mission of Catholic Action, “using our gifts to serve our neighbour”! “A collaborative effort by St. Luke’s Youth Ministry, St. Luke’s Community, Me-to-We, West Island Ford, and Catholic Action. 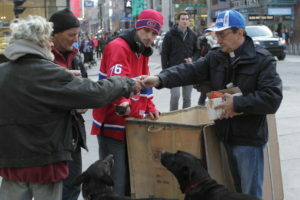 Notre Dame-de la Rue, extends her hand to the homeless. It is a presence and comfort of the Church. Catholic Action visited Father Claude Paradis to see how we can assist him with his good work. Accompanied by volunteers, Father Paradis and his deputy Kevin go out on the street several times a week. They will meet people where they are and bring a spiritual presence, helping to make sense of what people are experiencing. 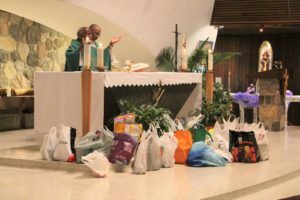 This can take various forms, depending on the needs: prayer, Eucharistic and funeral celebrations, listening, and of course food and clothing. As all good work , Notre-Dame de la rue needs our help! If you have used clothing for men, women or children, boots in good condition, the homeless can use them. Do you have time to make some sandwiches, add some energy bars to your grocery list? All these needed donations can be delivered to 1071 rue de la Cathedral, attention Father Claude Paradis. You could also send a financial donation to :L’Archevêché de Montréal (Notre-Dame de la rue), 2000 rue Sherbrooke Ouest, Montréal, QC, H3H 1G4 A tax receipt will be issued by the diocese. Catholic Action is pleased to announce the hiring of their new Executive Director, Judy Wong. Judy will be leading the objectives of Catholic Action as outlined by the Board of Directors. All payments are handled through the secure PayPal platform. As a result, your payment is secure and we never have access to your credit card or bank account information. All transactions through PayPal are covered by Buyer Protection. Members can complete their registration via our website using the form above. All financial transactions are handled securely through PayPal. How do I become a REGISTERED volunteer? 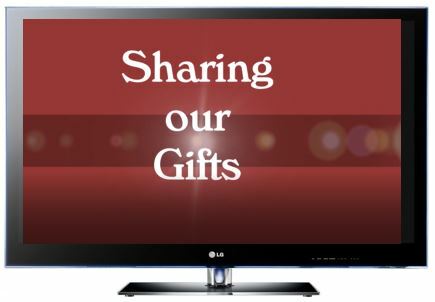 Stay tuned, shortly we will be adding a link to our website for you to build your own PERSONAL volunteer file allowing you to share your gifts and talents with your neighbor. 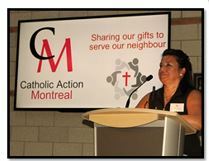 Catholic Action Montreal intends to use a grass-roots participative approach, inviting all those involved in service within our English Speaking Catholic community to join together and collaboratively explore the infinite possibilities of how we might join together toward responding to the varying needs of our community. Copyright© 2017 Catholic Action Montreal.